Size Five Games and Curve Digital today announced that the stealth action game The Swindle will release on Nintendo Switch on October 11, 2018 digitally via the Nintendo eShop for $14.99 / €14.99 / £14.99. Pre-orders are available now on the Nintendo eShop with a 20% pre-purchase discount. 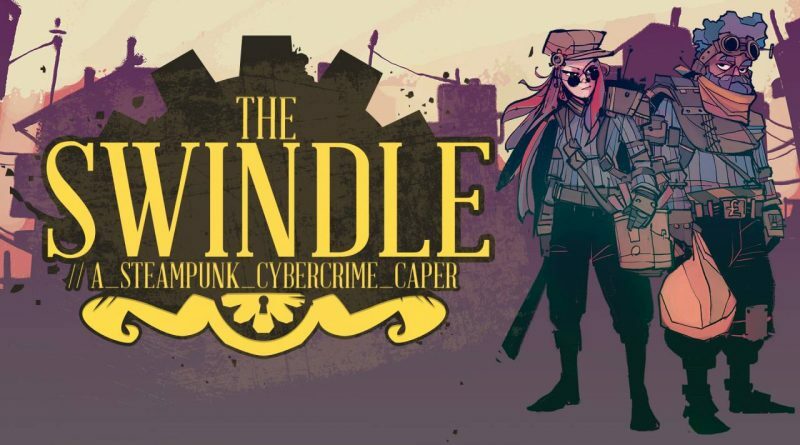 Previously released on PlayStation 4, Xbox One, PC, PS Vita and Wii U, The Swindle is a steampunk cybercrime caper about breaking into buildings, stealing oodles of cash, and hotfooting it from the police. Players must platform their way across beautifully drawn levels, utilising an array of lo-fi stealth mechanics in their pursuit of the perfect loot grab. Lovers of silent takedowns and hacking mini-games need look no further. All the buildings players will be robbing in The Swindle are randomly-generated so they’ll never carry out the same heist twice. Each area is kitted out with patrolling robots, vigilant security cameras and keen-eyed guards, all intent on halting players in their search for cold, hard cash. In between missions, and from the safety of a rickety airship high above London, players can modify their thief with new skills, tools, and all manner of advanced technological horrors. Gargantuan rewards beckon.